Over our twenty-five-year history, we have enlisted the support of over 350 TeachingArtists to oversee hands-on artistic workshops with artworxLA students. Today, we look back at the Teaching Artists that were at the foundation of our artistic program. Through poetry, illustration, and painting, these unique individuals used their talents to embolden the creative minds of young teens and inspired a tradition of teachingarts education that has spanned over two decades. 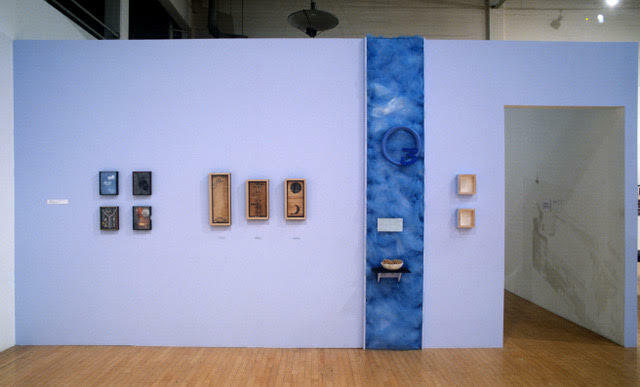 Kenneth Breisch partnered with artworxLA in 1992 and connected us with the Southern California Institute of Architecture (SCI-Arc) for our first artistic workshop series. He linked us with a few of his graduate students to teach our earliest workshops. Ken shared his skills as an architectural historian to inspire our students. 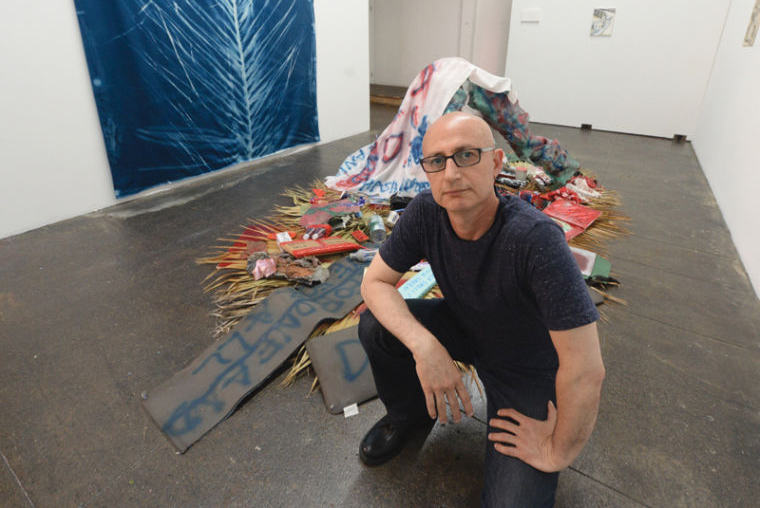 Ken earned his Ph.D. in Art History from the University of Michigan and has taught at SCI-Arc, the University of Texas and the University of Delaware. He has also served on the Board of Directors of the Vernacular Architecture Forum and the Society of Architectural Historians, where he was the First Vice President. 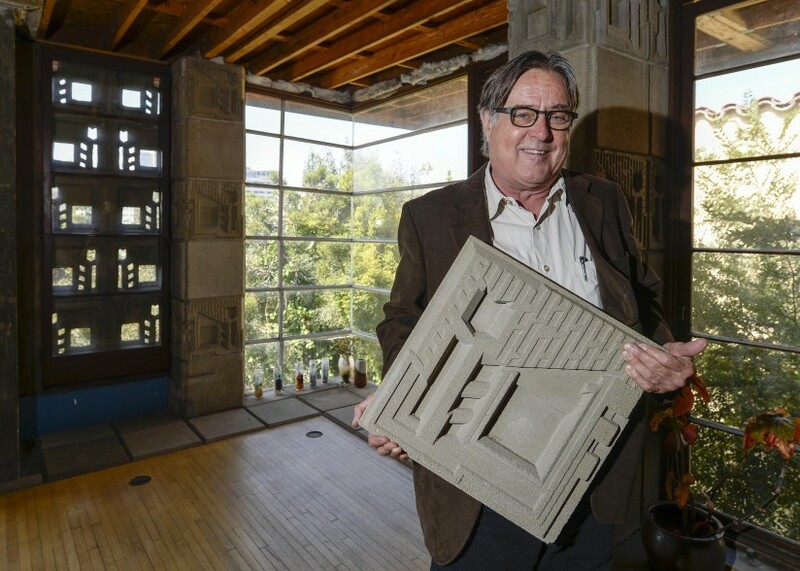 Ken Breisch currently works as an Assistant Professor in the Graduate Program on Heritage Conservation at the School of Architecture at USC. artworxLA student, LA City Councilman Jose Huizar, and Ulises Diaz. Ulises De Jesus Diaz Castro was a community leader and urban activist who worked to strengthen the voice of diversity in Los Angeles. Ulises was one of our very first Teaching Artists and continued to work in our classrooms often over our 25 years, sharing his passion for architecture and urban planning with our students. His works have been exhibited at the Museum of Contemporary Art in Los Angeles, the Wexner Center for the Visual Arts, the Gamel Dok Architecture Museum in Copenhagen and the San Francisco Museum of Modern Art. Ulises passed away on March 30th, 2016. All of us at artworxLA miss him dearly. Monique Birault joined Ulises to teach our architecture workshop in our first year of programming. As a graduate student, she joined artworxLA to support us as aTeaching Artist. Monique is a Los Angeles based architect who has immersed herself in the artistic landscape offered by South California. Often calling herself a multicultural Southern Californian, Monique started her formal training studying music and graduating with a masters in architecture from SCI-Arc. Currently, Monique manages designs and works with university architects to develop ideas for campus beautification as a Project Manager at USC, and she oversees her own line of decorative fashion jewelry. As a Teaching Artist, Manazar Gamboa shared his passion for poetry and creative writing with young students in our program. A convict-turned-poet, Manazar devoted his life after prison to writing and sharing the liberating power of literature with individuals from troubled backgrounds. Gamboa's writings have become an important staple of the urban Chicano experience. In the late 1970s, his writings were published in revered magazines such as the Chicago Review. Manazar Gamboa passed away in 2001 at the age of 66. We remain grateful for the positive impact he had on our students. HK Zamani (Habib Kheradyar Zamani) is an Iranian artist that lives and works in Los Angeles. Zamani was one of our very first Teaching Artists and produced a collection of frescoes with artworxLA students. These works were presented at our first public presentation at SCI-Arc. HK illuminated our students' understanding of the process of painting and opened their minds to presenting public works. As a working artist, Zamani has exhibited his works in New York, San Francisco, Prague, Seoul, and Saigon. His works are in the permanent collections of LACMA, Berkeley Museum of Art, and AD&A Museum at UC Santa Barbara. Zamani became the founder and director of PØST in 1995. This experimental gallery has held over five-hundred exhibitions since its conception. When our Founder, Cynthia Campoy Brophy, decided to launch a nonprofit arts education organization in 1992, she shared the idea with her friends Stefan Haves and Kim Drummond. Stefan and Kim lit up and offered to give her the nonprofit that Kim and her friend Lisa de Mondesir had started a few years prior, but that they were no longer operating. The name was The H.E.ART Project. Lisa owned the Main Street Dance Studio in Venice, CA and Kim managed and taught there. Their studio was located in a neighborhood that straddled both a gentrifying crowd and a community of homeless individuals. They decided to make their space welcoming to all of their community and launched the original H.E.ART Project (Health, Exercise, and Art) to teach dance and exercise to “transitional homeless, disadvantaged teenagers and recovering substance abusers.” One of the dance teachers who participated in this project was Sarah Elgart, who remains a long time artworxLA supporter and teaching artist. After running the program for a few years, Lisa and Kim’s lives took different directions and the nonprofit entity lay dormant. They graciously handed over the Articles of Incorporation, the Bylaws, and the name to Cynthia, and The (new) HeArt Project, now artworxLA, was born. Great thanks to Kim, Lisa, and Stefan for providing us with a head start to get our program up and going. Our 2017-18 program year has started at 27 alternative education classroom sites across Los Angeles. We took a moment to catch up with Erik Greenberg, Director of Education and Visitor Engagement at the Autry Museum of the America West, one of this year’s three cultural partners. Our theme with the Autry this year is: "Voices of a Movement: La Raza and Community Journalism." The Autry’s exhibition “La Raza” opens this weekend as part of Pacific Standard Time: LA/LA. E: What first drew me to the organization? Well, first a colleague introduced me to program. I was instantly taken with it for a number reasons. First, I failed out of college twice and eventually became a historian – I have a Ph.D. in history. I believe very much in the importance of second chances and third chances and however many chances you need to get it right. The fact that artworxLA takes seriously both the artistic and intellectual contributions of students in alternative high schools, those who are very often very dismissed as not having much to say, that just appealed to me instantly. I’m very interested in museums as sites of community engagement. Part of my work is not just bringing people in, but to reach out and have a dialogue back and forth. That means a great deal to me. Our signature program, our award-winning outreach program “Autry Classroom Curators” came out of my experience with artworxLA. I was so impressed with what artworxLA was doing, that I thought the Autry should be doing something along those lines as well. artworxLA students sharing what they learned from their 11-week workshop in the Autry's Wells Fargo Theater. artworxLA student celebrates the culmination of their Fall 2011 workshops at the Autry Museum of the American West. Q: Can you tell me about the theme we will be exploring with the Autry this year? What do you hope to accomplish with our students? E: So, the Education Department at the Autry this year is working on a theme called "LA Raza". All of our projects, especially our outreach work, is circling on the idea we're calling “A Voice of Community by Community”. We are looking at the ways people can tell their own stories by taking control of the resources available to them. We are looking at how they tell the stories we typically don’t know about. A lot of that comes from the exhibit we are doing about “LA Raza”. "La Raza" is the magazine or newspaper that documented the Chicano movement. It occurred to me from looking at the show that a lot of the kids that we’ve come into contact this year were very much like the kids involved in the Chicano movement that is "LA Raza". They are young people from East and South LA who looked around them and saw their needs and their interests weren’t being represented. Eventually, these teens spoke out. We thought that it was really important to make that connection. We want our students to understand that there’s a history of kids from East LA and from South LA speaking out for the things that they need. And, if there’s an objective that I would like the artworxLA students to walk away with, it’s just that. Each student is part of a long tradition of citizen journalism. We are really pleased to partner with artworxLA this year. Over our 25-year history, artworxLA has acquired support from government officials, foundations, creative career professionals and social philanthropists. These contributors have expanded our programs connecting us to teens in communities that need us the most. From our lengthy list sponsors, two stand out for their sustained efforts in supporting our programs along our 25-year history. Mike and Corky Hale Stoller have been leading advocates for music and social reform throughout their entire lives. As a musician, Corky Hale Stoller's lengthy career included being a harpist for Barbara Streisand and Tony Bennett and it also includes playing piano accompanist for Billie Holiday. Mike Stoller's credentials comprise being a co-composer to R&B and jazz hits recorded by Elvis Presley, Peggy Lee and many other high-profile talents. Starting their own foundation in 1997, The Mike and Corky Hale Stoller Foundation has been a staunch advocate for nonprofits that cultivate the artistic talents in youth. It has also been a driving force with its support of organizations connected to social or political initiatives. For 20 years, Mike and Corky Hale Stoller have extended their philanthropic endeavors to support artworxLA. Eager to stay connected to our programs, Corky Hale Stoller joined our artworxLA Board of Directors and has consistently participated in donating musical equipment to our students while providing major gifts to our Annual Evening of Art and Annual Fund. She has also hosted dinners and lunches with artworxLA teens to share her life experiences while making herself aware of the issues faced by them. After our 25th Annual Evening of Art, we took a moment to meet with Corky to recap and reflect her connection to our programs. Below is a snippet of her interview. How was I introduced to artworxLA? I was introduced to artworxLA through Barbara Bain the actress. She lived nearby me and asked me to come and meet this young lady that works with students who were being thrown out of school. I thought to myself that this sounds interesting so I made my way over. I met this young lady and of course, you know this lady (Cynthia Campoy Brophy) is unbelievable. I heard her speak. I thought to myself and I said, "That it! I want to support!" That was at least 20 years ago. I was so taken with her. I've been a supporter and a friend for at least 20 years. What inspires me to stay connected? Well, I'm involved in everything! <laughs>. Since learning from Cynthia, all I need to know is that kids are being thrown out of school. That's all I need. I just need to hear what's going on to be involved. From everything I do, I hope to create a difference in the community. In this letter, I wrote that God really smiled down on me. First of all, everyone assumes I'm from Hollywood but I'm from this small town in the Midwest. This place was on the Illinois-Wisconsin border. When I was younger my Mother worked with my father. My Mothers parents came to the U.S. from Poland poor like most Jews at the time. She grew up in St. Louis poor and had to quit school at 15 to support her younger sister and three brothers because she was so poor. So my mother's whole life was about work. My mom's life was about improving the life of me and my brothers. You've heard the story of a mother saying, "my children are going to have everything". That's what she did for us. She worked and earned it. I'm now in a place where I'm on the other side. I feel the best thing I can do is to give to others. Between philanthropy and art, I would want my philanthropic career to be my lasting legacy. The fact that they can name a Civil Rights building after us (Mike and Corky Stoller) is very important. God, I've played with every singer that there is. I've played with Streisand, Bennett, Sinatra, James Brown, I mean I've played with everybody. Leonard Feather was the most renowned jazz critique in the country. He died years ago. In one of his books, he called me one of the greatest jazz harpists in the world. I was pretty renowned for being such a great harpist, as a result, I was on so many jazz albums. I mean it's pretty hard to forget me. But, the fact that I and my husband can give all these all the opportunities to student or people that need it the most. To me, that's more important. That's the legacy I want to leave. "I’ve been a part of artworxLA for nearly 17 years now and have always felt welcomed and acknowledged by the staff as part of the family"
I was first introduced to artworxLA back in 2000 when it was still The HeArt Project. I had just been hired at Amelia Earhart High School as the Resource Specialist and the principal, Sheridan Cole, needed a teacher to coordinate and supervise the workshops. I jumped at the chance to be involved because I had never been in a school that was so closely connected with the arts and I think I wanted to feel more connected, myself, to the arts. I’ll never forget watching several young men, Rosendo, Oswaldo, and Frankie, perform a theater piece at The Actor’s Gang Theater that they wrote and produced themselves based on social justice issues that they had encountered in their own lives. I think it was very transforming for them to be able to share these stories through performance. Another outstanding memory was witnessing a painfully shy young lady, Janelle, courageously take to the podium to represent Earhart at a public presentation. She was petrified to speak in front of others, but she was a dedicated artist and artworxLA touched her so much, that she was willing to confront her fears. That speaking experience completely changed her life. Her self-confidence exploded and she really started to take charge of her life in a very dynamic way. Another memorable experience had to do with the workshop based on Jared Diamond’s book, Collapse. The class was rowdy and poorly behaved. They could not relate to the artist or to his project and both sides became frustrated. It then occurred to all of us that the “collapse” of the relationship between artist and students, as well as the “collapse” of the project itself, were both metaphors for the theme to which we had been assigned. Making the connection between a damaged relationship due to lack of respect and communication and a damaged world due to terrorism and natural disasters was quite a revelation for these students and I think they were really moved by that. These memories have influenced my connection to artworxLA because they powerfully show the potent effect that art has on our lives. I love knowing that I am going to get to be a part of three exciting artistic workshop themes and go to three wonderful venues every school year! I get to meet new artists and reconnect with artists that I’ve met over the years. Each year I get to attend a summer artist workshop and at many of those, I have been asked to speak to the artists about what it is like to be in the continuation school classrooms. For 15 years, I was the one teacher who accompanied the staff and students interested in the residency programs on a bus tour of art venues and art colleges around the city. And, of course, attending The Annual Gala each year is always a special treat for me! I’ve been a part of artworxLA for nearly 17 years now and have always felt welcomed and acknowledged by the staff as part of the family. I am considering how I will stay connected with artworxLA after I retire from LAUSD! Arts for good means identifying the challenges of communities and bringing people together to utilize art for collaborative and problem-solving purposes so that young people can make their voices heard and learn to be empowering contributors to create sustainable communities.